Have you started to notice common signs of aging like fine lines and wrinkles? If so, you may have considered what your options are in treating these concerns, such as topical products or more invasive procedures. Fortunately, there are many options when it comes to treating signs of aging that are effective and require no surgery or downtime. 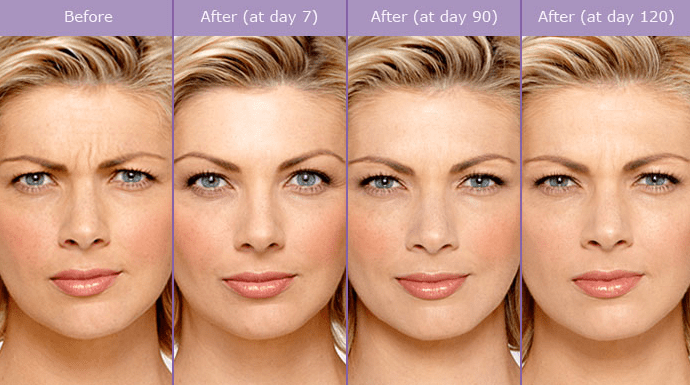 At Re: Nu 180 Med Spa in Newington, CT, we offer Botox, the most popular cosmetic injectable treatment worldwide. Botox is a minimally invasive treatment that can reduce wrinkles in the forehead, between the eyebrows, and around the eyes. At Re:Nu, we are experts at treatment with Botox and work with each of our patients to help them achieve results that make them look and feel their best. For more information about Botox book a consultation at our Newington med spa today! Continued muscle movements in different facial areas from different expressions can cause static wrinkles that can expose common signs of aging. Botox works directly on these muscles by relaxing them and smoothing out wrinkles and fine lines. Furthermore, regardless of age, Botox can also be a great preventative treatment to keep wrinkles from forming. What Is the Treatment with Botox like? Before receiving Botox treatment at our Newington med spa, we conduct a consultation to address your concerns and develop a treatment plan that works best for you. To deliver optimum results, we will determine the best areas of treatment and the amount of product to be used. Depending on the area(s) treated, treatment with Botox generally takes under 15 minutes and you can immediately return to your normal activities. Side effects from Botox are generally very minimal* but some patients can experience mild bruising, swelling, or tenderness at the injection site. Side effects generally resolve shortly after treatment. To maintain ideal results, we will provide you with post-care instructions. What Are the Differences Between Botox and Dysport? At Re:Nu 180, we offer both Botox and Dysport. In terms of their similarities, they are both minimally invasive with minimal to no downtime and temporarily treat wrinkles. However, they differ in their formulas and we will determine which product best suits your needs based on your aesthetic goals. Most patients begin to see the results of Botox treatment within 72 hours, however, it takes around 2 weeks for optimal results to be seen. Based on the amount of product used, the results may last anywhere from 3 to 4 months. To maintain results, we recommend repeating treatment at this time at our Newington med spa. Whether you are looking to prevent the formation of wrinkles or are trying to treat signs of aging, Botox can enhance your natural looks and subside undesired facial lines and wrinkles. To learn more about Botox and our other aesthetic treatments, contact Re:Nu 180 to book your consultation at our Newington med spa today! Re:Nu 180 Med Spa is located in Newington, CT and services the entire Hartford County Area including Berlin, Wethersfield, West Hartford, Rocky Hill, Glastonbury, Cromwell, and South Windsor. *Disclaimer: Individual results may vary. Any pictures or information presented do not guarantee results, experience, or patient candidacy for treatment. A comprehensive consultation and medical exam are required before any treatment or procedure at Re:Nu 180 Med Spa in Newington, CT.